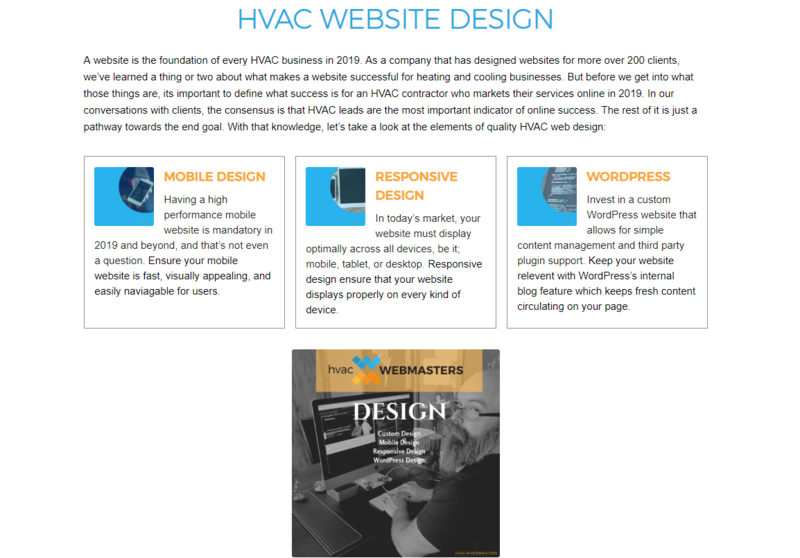 The foundation of a HVAC company’s online presence is website design. A strong website facilitates search engine optimization, brings legitimacy to your brand, and helps convert traffic into leads. Digital marketing concepts like SEO, PPC, and content marketing increase online visibility but it is the quality of the website that converts that exposure into sales. Many factors dictate a website’s design quality but as a heating & cooling contractor, the ultimate goal is to grow your business online and capture leads and sales within your local service area. In 2019, anybody can build a website. With DIY website builders like Wix, Weebly, & SquareSpace, along with an abundance of templates for content management systems like WordPress, it’s never been easier to get a functional webpage published. But design is not always about the front-end visual display of a website. 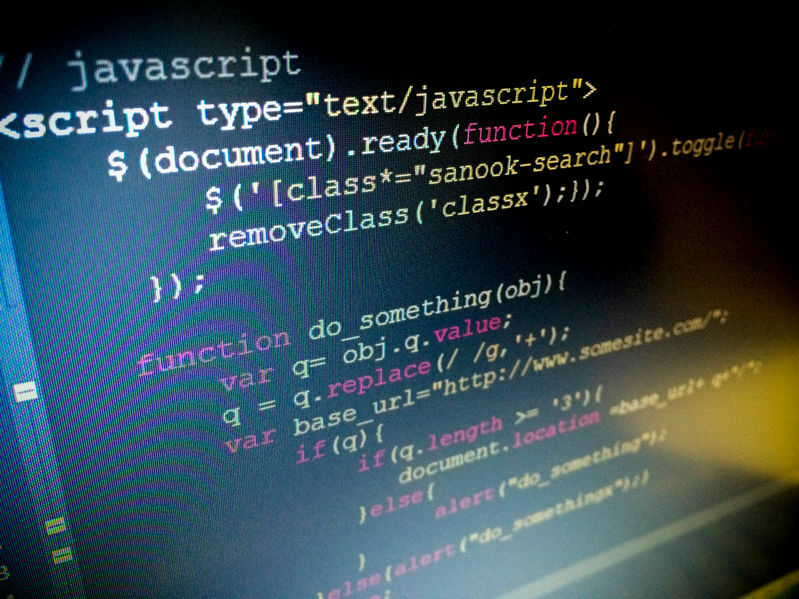 A major consideration in website design, especially as it pertains to SEO and marketing is codebase. The back-end of a website requires design as well, and it is as important, if not more so than the visual presentation. 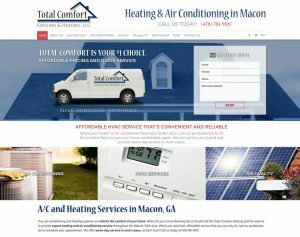 What is HVAC Website Design? Website design is the process of constructing websites with layouts, user interface, and other aesthetic imagery, including graphics. Without a functional website, it’s very difficult for HVAC companies to convert leads. Even if you pay for PPC ads on Google, Facebook, or other platforms, the absence of a converting landing page is going to nullify the majority of clicks. Even SEO which is an organic methodology is heavily reliant on the quality of the website. While there are more platforms on which to promote a brand than there were a decade ago (Social Media, Google My Business, Etc. ), none of them are maximized without a related website. Since the goal of contractors is to increase sales, the direct correlation between web design and sales conversions should be enough to garner focus. In our guide on HVAC SEO, we demonstrate the importance of generating traffic to your website. But the harsh reality of any internet marketing method is that it is as only as valuable as its final result. Website design and SEO cannot be separated from one another on a conceptual basis. In many ways, web design is a part of search engine optimization. Attempting to implement one without the other is a waste of marketing resources. By keeping your focus on the ultimate goal (sales), you can take actions that align with this underlying motivation and stay the course to reach your desired destination. When HVAC workers talk about their brand, what they really mean is their trust level within their community. A functional and appealing website does wonders to strengthen a brand. Not only do consumers invest trust in companies that showcase their professionalism with a website but search engines like Google reward them as well. Aside from converting traffic that reaches your domain, strong web design can also influence said traffic and serve as a central hub for inbound links from all of your secondary media platforms like Facebook, Google My Business and even Yelp. Digital footprints leading back to a primary domain increases its authority as well as the legitimacy of your brand online. The front-end of a website is what most consumers take notice of immediately. For people without knowledge of HTML, CSS, or any other coding languages, it is the only thing considered when formulating an opinion on the site itself. So what do viewers actually look for? Factors like colors, white space, aesthetics, and overall user experience top the list. Many of these work on a subconscious level and the user may not be able to tell you exactly why they like the looks of a website, only that they do. In 2019, presentation has greater variance than ever before. Consumers visit websites on a plethora of devices including mobile, tablet, and desktop, as well as thousands of iterations of each. A website should appear optimally on each device which is something that can be accomplished through responsive design principles. When a website is responsive, it adapts to the device of the user without having to create an entirely new website for each one. Google has gone as far as to recommend responsive design principles to professional web designers. Palettes are critical in modern design. Not only do they inform the experience of the visitor, but they create cohesion between brand and platform. The diversity of a palette stems largely from an HVAC company’s logo, which makes creating or updating one of great importance. A logo with lots of colors will distract the average user but a logo with only one color will bore them. Having 2 or 3 colors, a primary and 1 or 2 secondaries, is most ideal in modern website design. A funny anecdote about white space is that it is not always white. The phrase refers to empty spaces between images, text, and blocks of content. The modern consumer prefers information that is digestible since they can become overwhelmed by excess. The function of white space is to foster a feeling of organization and conciseness. Both can improve the visitor’s experience and both can influence behavior metrics like bounce rate, pages per site, and duration on site, etc. If you’ve ever heard a visitor discuss the “feel” of a website, aesthetics are at play. Defined as the “appreciation of beauty” aesthetics might not be something that HVAC contractors plan to concern themselves with. But make no mistake, everyone considers aesthetics in website design. That includes your prospective customers who are reading about heating & cooling services. Don’t assume that the subject matter disqualifies any website from aesthetic appeal. A website’s look and feel has great appeal but its functionality can make or break its effectiveness. 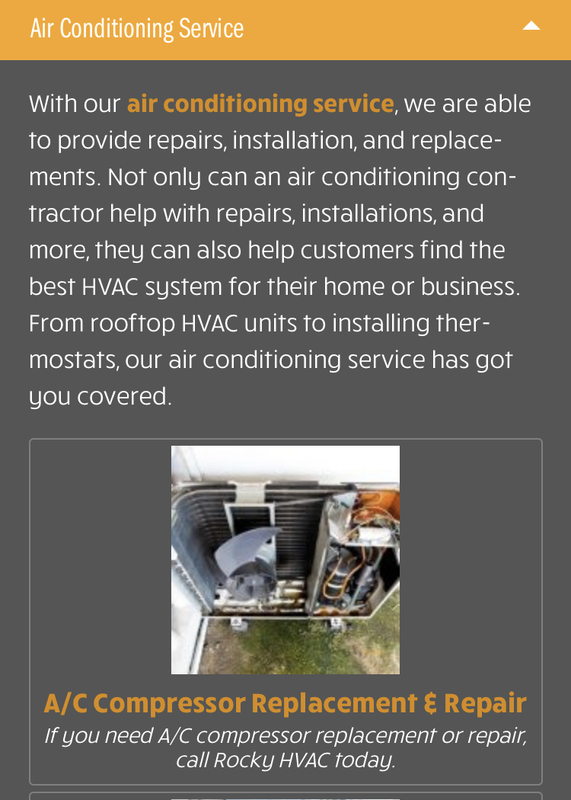 Let’s say a user enters your HVAC website and likes what they see. Imagine now that as they are attempting to navigate to other sections of the site via smartphone browser, that they can’t seem to properly scroll down or click the desired page links. Once something like this occurs, the visual appeal becomes mostly irrelevant. Users will leave a website for functional reasons in an instant (literally) and never return, regardless of what visual impression was left. Navigation is one element of usability, but is not the only one. Consider site speed (loading time), URL structure, menu links, and user interface as some of the other most prominent factors. To revisit responsive design, usability should translate to all kinds of devices, from mobile, to desktop, to tablet, including the endless variations of each device category (iPhone, Android, MacBook Pro, HP, etc.). The user must be able to use your website at their convenience, because if not, they will move on to the next search result who does it better. 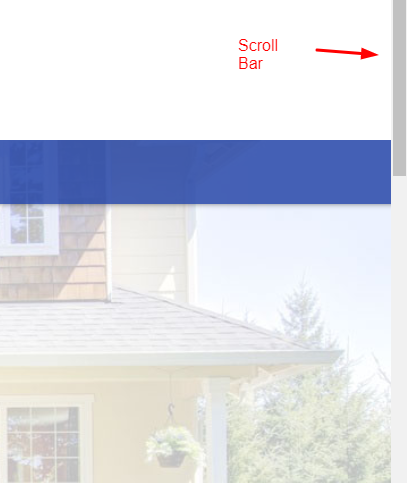 9 times out of 10, the most frustrating part of a bad website is its navigation. If the user cannot scroll properly and get to other sections of the website with ease, they will become discouraged and exit the site. Mobile websites are typically the most complicated to navigate which is why designers should pay extra close attention to mobile design. Since the screen is smaller than a tablet or desktop monitor, it should be especially convenient for the user to find their way around the site and all of its elements who will be scrolling primarily with their thumb and index finger. Over half of internet users will exit a website that does not load within 3 seconds. That puts HVAC websites on the clock immediately after a user clicks on their result. If we’re being honest with ourselves, that 3 second number is likely to have lowered even more since the survey was last taken. In 2019, that number is more than likely closer to 1 second. The attention spans of users have shorned, and designers must take notice. You can check your existing website speed using Google PageSpeed Insights, which also gives suggestions for correcting errors. A website URL hierarchy is an important part of a site’s functionality for users. If you have pages for each service, the URLs should be both logical and hierarchical. Let’s say you provide both residential and commercial HVAC services. 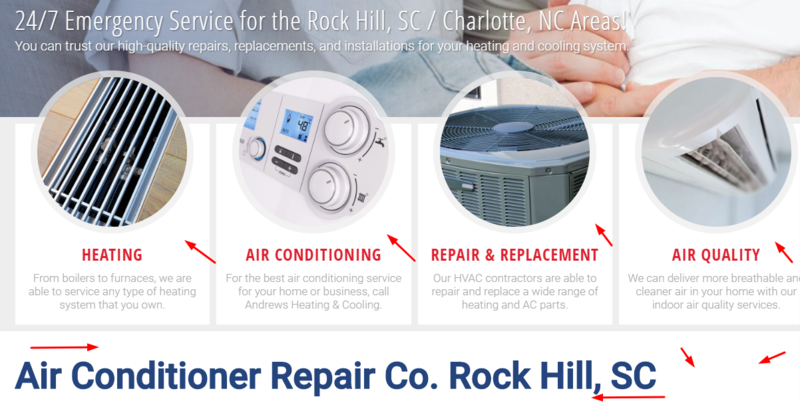 If so, a page for residential ac repair should be categorized as a child page underneath the parent page which would be residential HVAC services. This closely relates to your HVAC SEO efforts and helps the user navigate your site. Every important page on your HVAC company site should be linked from the homepage menu. When converting traffic into customers, you want them to be able to see all the services you offer and to easily access the one that intrigues them. In alignment with URL structure, menu links should have main categories (parent pages) and subcategories (child pages). You should also have a Contact Us page along with an About Us page to help connect with the visitors. User interface, often shortened as UI, hones in on the user’s projected need from your website from a functionality standpoint. According to Usability.gov, UI combines interaction design, visual design, and information architecture. They break down UI elements into 4 sections which are input controls, navigational components, informational components, and containers. They stress simplicity, consistency, and purpose as the driving principles of an effective user interface design. Code is not used only for website design but really for any kind of web or software development. Think about Facebook or iTunes. Each of these has a codebase which not only informs its presentation but also its functionality or usability. Coders are often the most technically sound webmasters in the room and are able to implement the elements that the average person cannot. Although website builders have turned everyone into an amateur designer, they have not familiarized everyone with coding, which is still what separates the legitimate professionals. 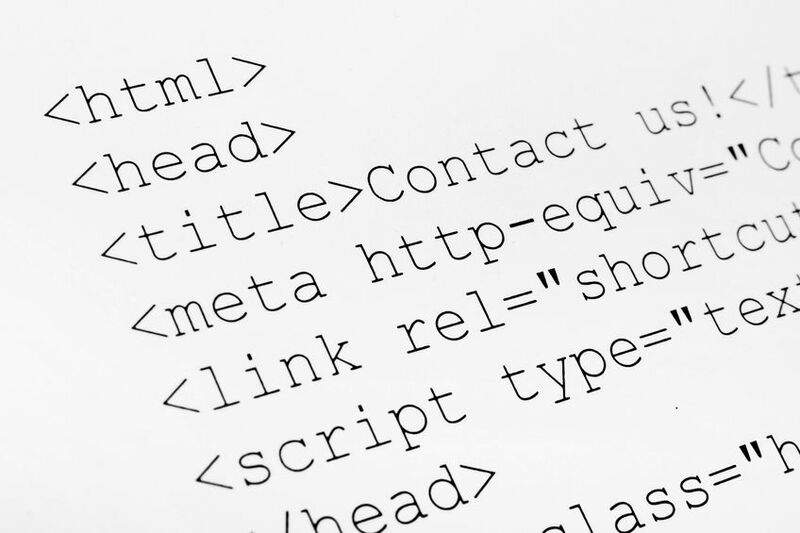 Hyper Text Markup Language (HTML) is the fundamental code that every website is written in. HTML annotates text with tags, suggesting a browser to display it in a way that the designer intends. The language is built on a series of these tags that range from very basic to very complex. For example, text surrounded by a <strong> tag on the back-end is bolded on the front-end. HTML is closely associated with SEO as well, since header, title, and meta tags are all part of the HTML language. A CMS like WordPress makes HTML alterations simpler from an SEO perspective but the design itself still requires in depth knowledge of the coding language. Cascading Style Sheets (CSS) is code that instructs a browser how to display HTML. 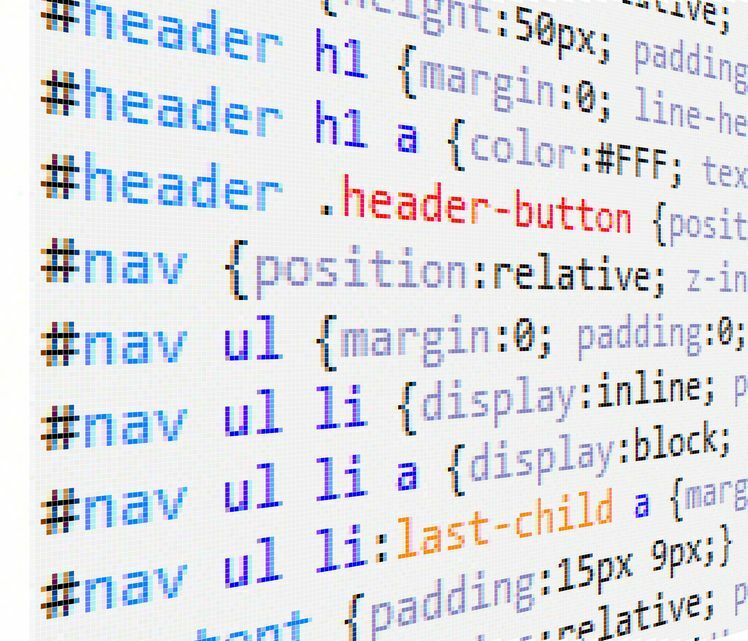 While HTML tags suggest things like bolded text, the CSS code is what actually instructs the browser on what that will actually look like on the front-end of the website. CSS is made up of what designers call rules. A CSS rule can be separated into 3 parts; a selector, a property, and a value. Aside from CSS rules, there are also more advanced levels of CSS link inline CSS and internal CSS. The simplest way to describe the codebase is as the stylization of HTML tags. CSS is very much related to the display presentation of a website, a concept outlined earlier. Schema.org or Schema Markup is a vocabulary of semantically related tags that are inserted into HTML to help Google interpret the page. Microdata tags from Schema.org exist to help search engines like Google better categorize pages and subsequently promote them on search results. Schema is very important to SEO and is perhaps the most important optimization element of a website’s codebase. Since it was created from the instruction of search engines, we know for certain that it is a factor considered when pages are crawled, indexed, and ranked. The increased mobile usage of the average American has made mobile design more important than ever before. It is estimated that over half of all HVAC website visitors will access the site through a smartphone. Because phones are accessible 24 hours per day, 7 days per week, there is literally an infinite window of opportunity for contractors to reach their largest consumer base. SEO can drive traffic to your website and other web entities (Google Maps, Facebook, Etc.) but without a website that is simple to use on mobile, a sales conversion remains unlikely. In promoting services to a mobile user, several design elements will be embellished or adapted to narrow the target. One such example of this is a call to action. 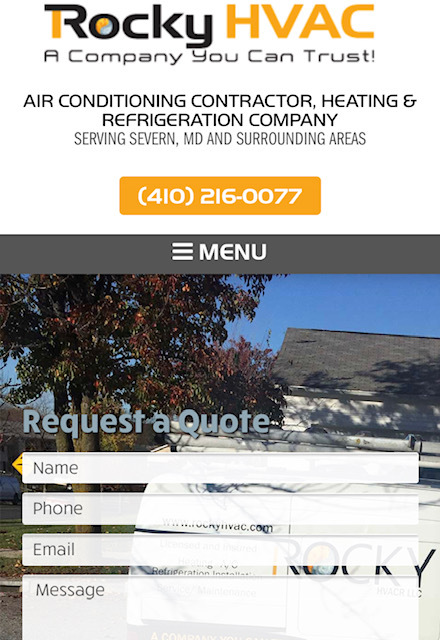 A CTA on a website for desktops might list an HVAC contractor’s phone number. On mobile design, it should be taken a step further by having the number be clickable by the smartphone user who is then directly connected to your phone line. Because conversions are the goal of websites, CTA’s are crucial. This has never been more pertinent than in 2019 when mobile usage continues to increase daily. Screen size matters and smartphones have less space to work with. Pair that with a low attention user and you have yourselves one of the primary challenges of modern design. How can you as a web developer intrigue the mobile user through your website? You have limited time and space and must make the most of it. A layout should be simple and instructive while creating urgency for the visitor. A clear call to action with a clickable phone number is ideal. Other layout factors to consider include height, width, image and logo placement, and space. Websites are expected to load quickly regardless of device, but it is even more crucial on mobile. Sites that don’t load within 3 seconds will lose more than half of their visitors, a timeframe that has likely already decreased and will continue to with each passing day. 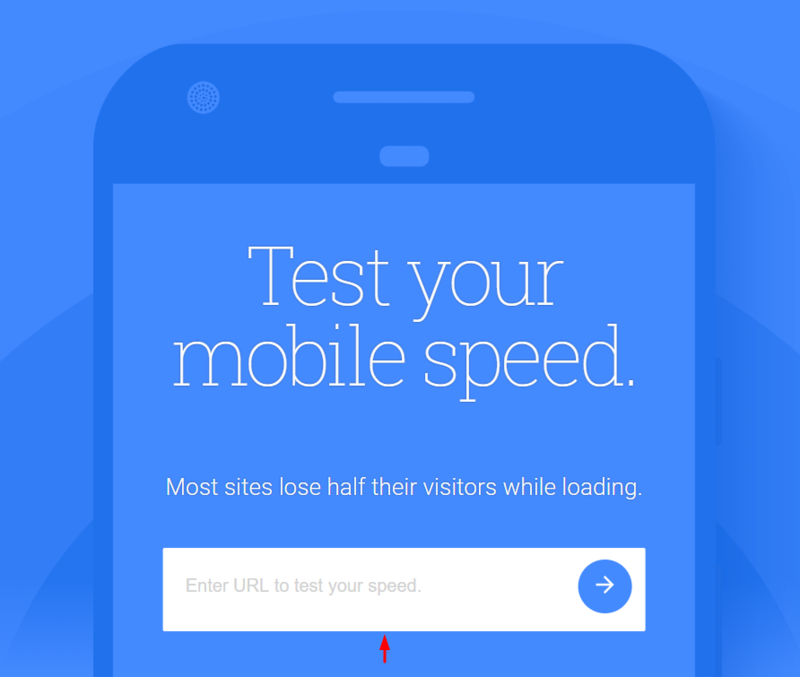 Google’s tool; Test Your Mobile Website Speed can give HVAC companies an idea of where they are currently and perhaps where they should be relative to other sites throughout the web. For contractors, the fear is that slow loading pages will prompt visitors to try the next result. We’ve mentioned several times that calls to action should be tailored to the mobile user. The best example of this is a clickable phone number which can be a stylized button or text of the number itself. The goal is to create urgency for the mobile user so accompanying the phone number with a statement like call now for a free consultation is something every contractor should think about. There’s a fine line between creating urgency and becoming overly salesly and the most successful websites can navigate that terrain to generate high quality leads. Wix, Weebly, and SquareSpace help the average person create nice looking websites. If they have a disadvantage it is their lack of customization. There are certain limitations that come with using website builders that don’t exist when investing in a professional designer. While not every Wix site for example will look identical in presentation, the back-end codebase will be similar and less customizable. This can hinder SEO efforts that are needed for a website to get traffic. As we’ve stated, website design cannot exist exclusive from SEO if increasing sales is the goal. Besides custom codebase being superior SEO protocol, customization is part of every aspect of design. From the placement of a logo on the page’s layout, to the color scheme of the palette on the CSS style sheet, customization can go a long way towards increasing conversion rates and satisfying user’s needs and attention spans. It’s not to say that website creators cannot work under any circumstances, but instead to highlight the reasons why custom design is so useful. At the end of the day it becomes the choice of the HVAC company based on their digital marketing goals. Tools like Wix provide options for display. Website makers can choose their layout, buttons, and even color schemes. While this might differentiate one website from another, the code will remain similar. You see, even with a change in color scheme which alters the existing CSS code, the skeleton of the style sheet stays identical. Google can see that the website you’ve created was made with Wix based on its internal codebase. It doesn’t make it a bad choice, but it can make SEO a more difficult process to execute and ultimately discourage the sales growth you covet. Tired of your website’s footer saying something like “designed with Weebly?” If so, custom design may be for you. With custom design, you control what appears on your website and where it appears. There is no mandatory insertions of code that cannot be deleted. Instead, you can add your own logos, awards, and badges of honor to your header and footer, instead of being forced to promote the tool used to design the website itself. Customization = control for HVAC contractors. Consider even something like your logo width which could be limited in Wix. 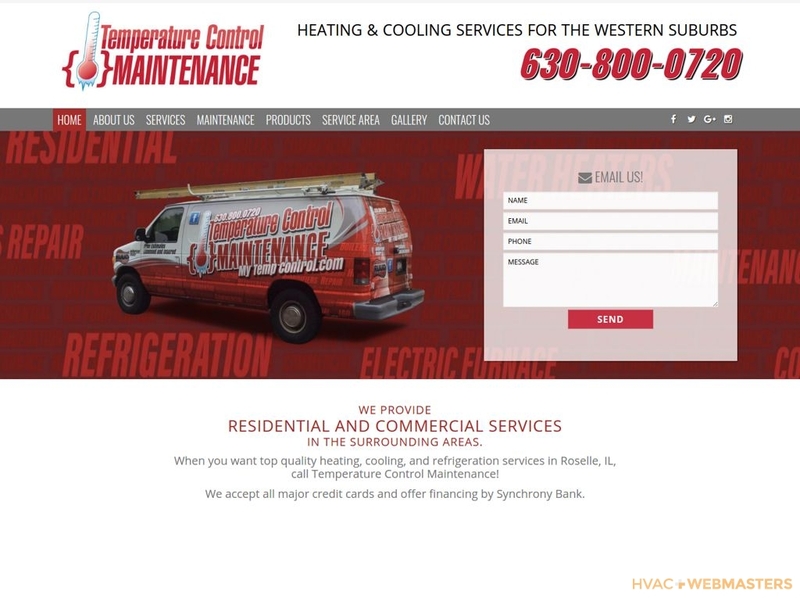 With truly custom web design, you can brand your HVAC company in a manner not replicable through website builders. A unique codebase, layout, and color scheme can differentiate your website from others in the same industry and service area. You may find the differences between a template website and a custom one to be minimal at first glance, but Google sees it differently. Perhaps most importantly, users growing accustomed to your brand through website design can only help expand awareness and foster a long-term, sustainable online presence. We’ve noted that most visitors will access HVAC websites through mobile smartphones, but the highest conversion websites cannot ignore any of its users. That includes those who access the website on desktop, tablet, or some other 3rd party device that is not a smartphone. Since it’s not plausible to design a site for each device, brand, and model, the best solution is responsive web design, sometimes shortened as RWD. The primary advantage of RWD is to optimize display and functionality for a website on any device efficiently and reach all possible customers. Mashable named 2013 the year of responsive design and 6 years later it is now considered the norm for websites that perform well on Google. The search engine has gone as far as to recommend its usage to web developers and has even offered RWD tutorials on their Web Fundamentals platform. RWD fixes would-be problems that designers would once dread. For example, an image displayed on a mobile site might appear too small on desktop, but responsive design incorporates flexibility so that the image is resized to its optimal display. The area immediately visible to the user is known as the viewport. As you might imagine, viewports vary by device so an iPhone 7 viewport will not compare to that of a Dell PC monitor. Prior to mobile’s emergence to prominence, designs were often left “fixed” for desktop viewing which would create viewport distortion when accessed via mobile. If you can remember when mobile phones were first popularized, you likely remember some of the worst looking websites in history. Imagine trying to set up a phone call with your local HVAC contractor on this display. It would not be ideal. The point at which a provision of the optimal layout is displayed is known as the breakpoint. In responsive design, breakpoints are usually changes to the width of the screen. Sometimes a breakpoint might shift the viewport from displaying 2 columns to displaying 4 columns. Designers should focus on breakpoints by device rather than model. In other words, smartphones should be a category, but Apple iPhone 7 should not be. Breakpoints also vary in significance. Some of them can be quite obvious while others are more subtle. Use tactfully. A website’s graphics are part of its visual presentation but can be considered an entirely separate skill altogether from a designer’s standpoint. Graphics can be everything from logos to interactive buttons and everything in between. Graphics are often tied into a site’s color scheme, but are not the color scheme itself. Most color palettes work from the starting point of the logo. If your HVAC company has an existing logo with brand recognition, it is ideal to keep that one if not slightly enhance it. Brand new contractors might be looking for an original logo from a professional designer. Logos are likely the most important graphic for a company but certainly not the only one that should be integrated onto a website. Like we said, graphic design is a skill that transcends web design. While website’s are written with code and tags, graphics are crafted using digital art studios such as Adobe Suite. Illustrator, inDesign and Photoshop can all be helpful in creating graphics for your website and other marketing materials. Graphics can be published on print materials as well, such as business cards and newsletters. They can even be printed on t shirts, truck wraps, and other property. An effective heating & cooling logo is both simple and memorable. Striking that balance isn’t the easiest thing to accomplish. Still, the companies that thrive are the ones who find a way. Focus on solid colors that are easy on the eyes. 99 Designs outlines what each color evokes from the perspective of the typical consumer. Blue for instance, is one color that people often associate with trust and professionalism which makes sense when you understand that it is used on at least half of all logos. Think about your own logo for a moment, what characteristics does it evoke? A call to action is often enhanced by its graphical outline. In other words, a phone number button might appeal more to the user than simply the number itself. Why? Because consumers love to be visually inspired. Since the goal of every CTA is to create urgency and prompt action, enhancing its graphical nature can help reach that destination. This assumes the graphic is skillfully designed, of course. Keep in mind that poorly designed graphics can have a negative impact on a user’s behavior. CTA buttons are important when merging graphic and web design. What is the information distributed on infographics? It can be anything and everything as long it stays within the context of your webpages and the content published on them. If CTA buttons merge graphic and web design, infographics unify content marketing, graphic and web design. It’s a way of threading everything the user consumes together in one cohesive construct. Like with logos and buttons, an infographic can range from extremely helpful to discouraging. Some infographics become so popular, they earn inbound links to the image address, which helps SEO. We spoke about UI or user interface, but the most important part of a website is UX or user experience. Although it is less quantifiable, UX encompasses the overall experience of the website visitor. This relates to everything previously discussed on this page. From aesthetics and visual presentation to navigation and website functionality. Of course codebase remains the foundation of UX since it is what ultimately dictates it, even if the users themselves don’t realize it on a fundamental level. While UX cannot be measured by a single metric, there are groups of data that can paint a general picture of its performance, such as bounce rate, pages per session, etc. Google understands the behavior of website visitors better than ever before and uses that information to inform their rankings. The site’s that rank highest are liked by visitors who demonstrate their affinity through behaviors. Whether it’s visiting multiple pages on a website or engaging with content elements on the homepage, users make their feelings apparent to Google in more ways than one. The goal of every HVAC website is to generate leads and there’s no safer way to accomplish this than through enhancing the user’s experience and inspiring them to complete a call to action. UX is best understood through user metrics like bounce rate and pages per session. Although we can all subjectively visit an HVAC website and form an opinion on it, it is actions that demonstrate our most authentic conclusions. Any local service company that can keep users on their website for long periods of time and have them participate in sales funnel entry or calls to action is going to output strong metrics to Google and be rewarded in some capacity. The best way to track user behavior on your own end is through Google Analytics, a free tracking tool. 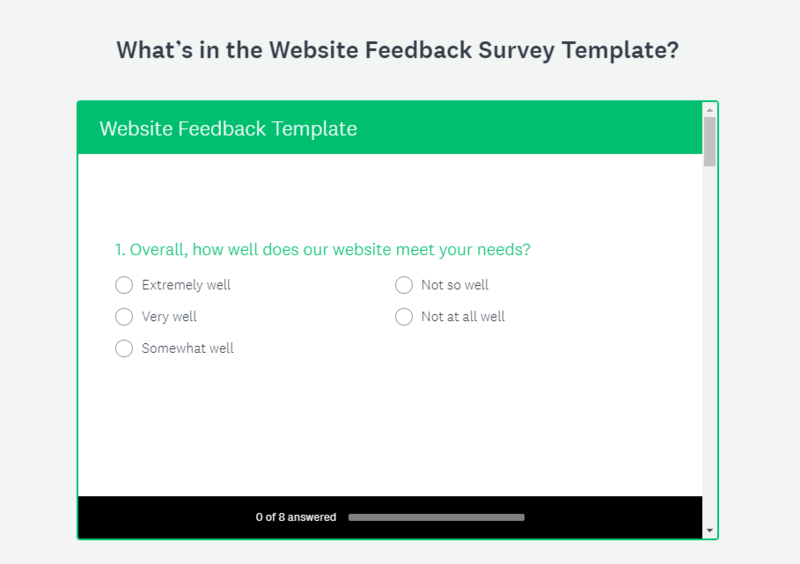 Aside from measuring user behavior, asking them outright for feedback can also be helpful. While it doesn’t provide the kind of raw data that Google values it does inform heating & cooling businesses about strengths and weaknesses of their site, explained from a visitor’s perspective. Sometimes people will holdback on criticisms, but if you include an anonymous survey directly on your website, there’s little for them to hold back. You might even get criticism so harsh that you wonder if they’re being intentionally combative in hopes to weaken your will as a contractor. Separate from the user’s behavior when first visiting your website, a telling piece of information can be the ratio by which visitors return for a second time or more. Sometimes brand notoriety can influence visitors to return to a site again and again, something that should make itself clear by the percentage of traffic that is reaching the site through a branded search or a direct visit. Other times more than brand recognition, it is about the quality of the site’s design and its UX. All the design elements discussed in this post can influence repeat visitations. For an HVAC SEO company you can trust to design a high quality website, choose HVAC Webmasters. Each website constructed by the expert webmasters are custom-made and tailored to the client’s needs and brand. With a team of designers on staff (website & graphics), we are able to produce a high conversion online marketing channel for your heating & cooling business. A website serves as the foundation for your digital marketing strategy. It influences SEO, Google Maps, and of course conversion rate optimization. 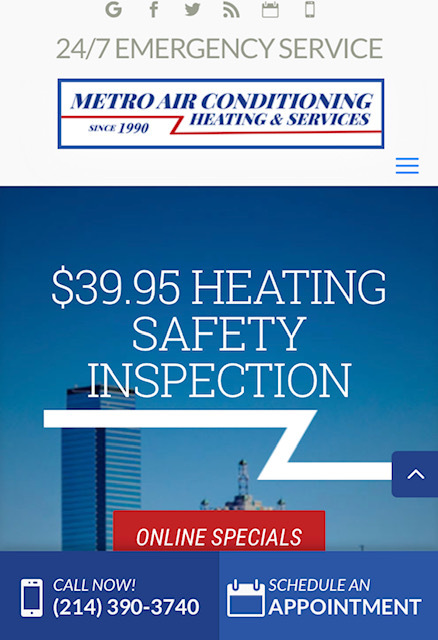 As a company that focuses on online marketing for HVAC companies, we are uniquely qualified to construct a website that checks of all your boxes in 2019. Affordability is always a consideration in marketing but what’s most important is ROI or return on investment. A website template might cost less upfront but how much money is it going to bring in? If you don’t know the answer to that question, you should opt into a free SEO audit that quantifies your rank position based on call volume. If you aren’t getting many calls, it’s likely that your site is not ranking on either Google organic or Google Maps. If that’s the case, even the nominal investment you’ve made in a website template is negative ROI. Keep in mind that our services are especially affordable for agency level website design, so we are happy to discuss the details further with you at your convenience. Tired of template websites that hinder your SEO efforts? Invest in a custom website from HVAC Webmasters. Our team of designers crafts custom codebase that implements your logo and color scheme into a cohesive conversions machine. Best of all, every design measure we take is done so with SEO and lead generation in mind. No longer do you have to worry about whether blocks of code from your template are being correctly parceled by Google crawlers. We have the data and protocol to ensure that Google not only indexes your site, but favors it. 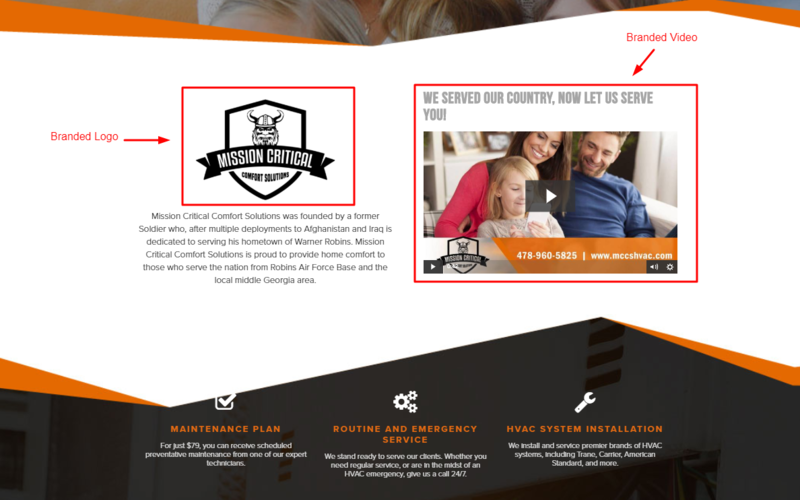 We don’t just build a website, we help build a brand for HVAC companies. Because the internet is bigger than any single website, it is important to integrate your brand onto other web entries like social media networks and local business directories. This especially useful when these properties link back to your website and vice versa. That’s why we include social media icons on your homepage so that visitors can find you on Facebook, Instagram, and YouTube. We believe that digital marketing ventures should target a complete web presence and one that is branded. A custom branded website can generate leads with the proper calls to action. 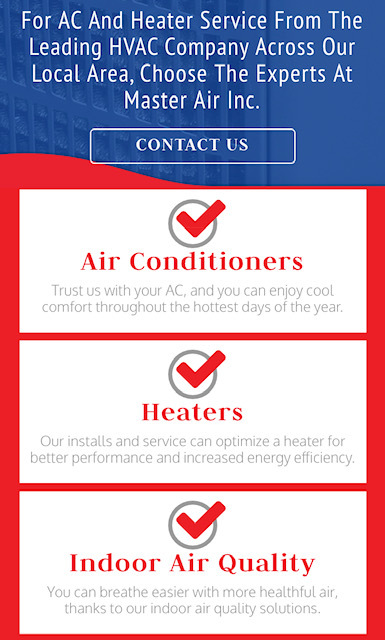 Each website designed by HVAC Webmasters aims to connect relevant consumers to your office line. By integrating your contact information into our codebase, we are able to input clickable phone numbers in multiple areas throughout your site. This encourages users to take an additional step in the sales conversion process. 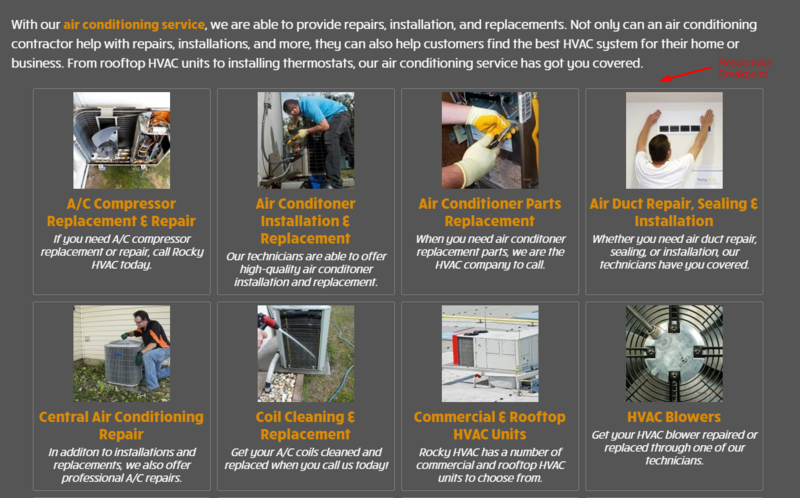 We facilitate a connection between users who need HVAC services in your local area and yourself as a contractor or company in their general radius.